If a friend or a loved one has been arrested and needs a bail bond to get out of the New Braunfels jail. John McRae has helped secure New Braunfels bail bonds for over 30 years, providing fast, professional, and discreet bail bond services for Comal County. After a person is arrested, they will be taken to the New Braunfels jail at the Comal County Courthouse. In order to get out of the jail, the Comal County Court Judge will set a bail amount based on the offense and any contributing factors. Once a bail amount has been set, McRae Bail Bonds can immediately go to the Comal jail and bail out your loved one. Our bail bond agent, John McRae, will take the time to explain what a bail bond is and all of the rules and regulations which apply to getting bail bonds in New Braunfels. Bail Bond Payment: We will work with your individual financial situation and accept, money orders and most major credit and debit cards for the bail bond fee. 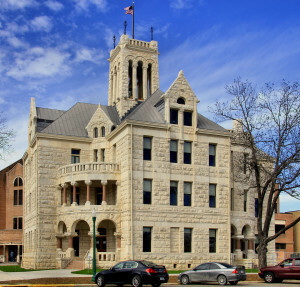 Our fee is typically 8% – 10% of the full bail bond amount set by the Comal County Court. Fast Release from New Braunfels Jail: Once the person who has been arrested has bail set by the judge at the Comal County Court and payment arrangements have been made with McRae Bail Bonds, we will immediately post a bail bond at the Comal County Courthouse and secure release of your loved one. Call us 24/7 for New Braunfels Bail Bonds to get a loved one out of the Comal County Jail at 210-463-5561. We pride ourselves on offering professional and discreet bail bonds in New Braunfels and are available to answer any questions you have 24 hrs a day, 7 days a week.